Accurate Infra Industries, AHMEDABAD, India - Accurate Infra Industries Pvt. Ltd.”, are renowned manufacturer, exporter and supplier of an exclusive range of brick and blocks. Accurate Infra Industries - Accurate Infra Industries Pvt. Ltd.”, are renowned manufacturer, exporter and supplier of an exclusive range of brick and blocks. Started our operation in 2014, we, "Accurate Infra Industries Pvt. 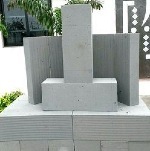 Ltd.", are one of the topmost manufacturers, suppliers and exporters of brick and blocks. Inclusive of AAC Blocks, Fly Ash Bricks and Fly Ash Blocks, we offer a wide range of building materials. Utilizing the quality assured cement and fly ash, we keep providing the most suitable building materials to our customers. Coming with their high load bearing capacity, better fire protection and crack resistance properties, the offered fly ash bricks and cement blocks are much demanded in the markets. To provide a range of most suitable building materials to our customers, we are equipped with a sufficient infrastructure spread a vast area. Our infrastructure is divided into various units to ensure a smooth execution of all the processes. At our manufacturing unit, we make use of quality assured cement and fly ash to manufacture the most convenient building materials as per the industry set norms. The range of manufactured building materials undergoes various quality checks to ensure only the high quality products are delivered to our customers. Also, for the comfort of customers, we offer various shipment modes. Moreover, we export our range of building materials to a number of African Countries. In our team, we have hired a team of hardworking professionals who have rich knowledge and experience in the construction industry. We have segregated our team into several sections like technician, engineers, quality experts, research analysts, sales and marketing personnel. All our business processes are supervised by our hardworking and talented workforce. To update the knowledge and skills of our professionals, we organize important workshop, training sessions and learning programs at regular basis. Being a well established enterprise, we bring forth an excellent range of bricks and blocks. Our offered products are as per good quality and high class raw material. We are backed with the ultra-modern infrastructural set up that helps us to meet the several demands of our valuable clients. This infrastructural unit is installed with advanced machined and equipment that help us in construction of these blocks and bricks with quality. Our infrastructure is segregated into different departments such as procurement, manufacturing, quality testing, R & D, warehousing, packaging and after sale support. In order to carry out the best output, all these process are efficiently supervised by our experience team members.